We have been cleaning and flow testing Optimax air injectors and fuel injectors for many years. In doing so we have saved our customers thousand of dollars. 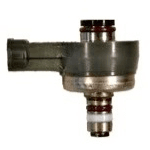 Our fuel injector cleaning and flow testing service is used by many dealers. Maintenance and fuel related issues are the main cause for engine performance problems on the Optimax engines. Damaged fuel lines becomes soft and collapse causing fuel flow restrictions. The byproduct of phase separation has a devastating affect on both the air and fuel injectors and will ruin the fuel pump very quickly. We recommend replacing boat-to-engine fuel lines every year. If a boat setup for more than 6 – 9 months we recommend replacing all filters, clean the air injectors and fuel injectors as well as the rest of the fuel system. A belt driven air compressor supply air to the lower section of the fuel rail. Better known as the air rail. Fuel is supplied via the top part of the same rail. The fuel injectors are situated directly above the air injectors.Fuel is injected into the air injector. The fuel air mixture is then injected directly into the combustion chamber where it is ignited at a specific timing event to produce optimum power. Dirt in either the air or the fuel system can reap havoc and it is therefore important to keep the system as clean as possible. There is a 10 Psi difference between the fuel rail pressure and the air rail pressure. 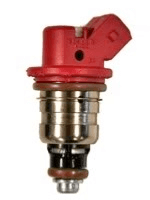 The Tracker Valve and Fuel Pressure Regulator maintains exact and fuel pressures. This pressure difference is maintained. If this pressure difference is not maintained you can expect poor engine performance and sometimes the engine will not run at all. A failed Mercury Optimax air compressor will send debris to the air injectors. This debris can limit the operation of these injectors and cause all kind of performance issue. It is therefore recommended that you have the Optimax air and fuel injectors at least flow tested and if needed cleaned in the event of an air compressor failure. Optimax air injectors and Fuel Pressure specifications. Fuel Pressure measured at Starboard Rail Schrader: 88-92 PSI. Air Pressure measured at Port Rail Schrader: 78-82 PSI.